Discussion in 'Classifieds' started by Wilki, Mar 20, 2019. Post a pic of the sweat crest! It’s a great hat, from what I read on a google search of the Lounge for “ Real Nutria” pics up quite a few comments. This hat, for example, is not the same model but close. I personally would not make any predictions on price, there are too many variables in eBay sales. But you’ve got a beautiful hat there, black is not a common color, Real Nutria is a great Stetson felt, folks should be very interested! Thanks for the pics that one does look close. I'll post a pic of the sweat crest if you will educate me on what it is. Sorry, the Stetson crest on the leather sweatband. I converted your pic to B&W, then enlarged it. The script becomes legible but only a small amount of detail on the eagle comes out. Redfokker, AbbaDatDeHat, Bamaboots and 2 others like this. Redfokker, BobHufford and AbbaDatDeHat like this. 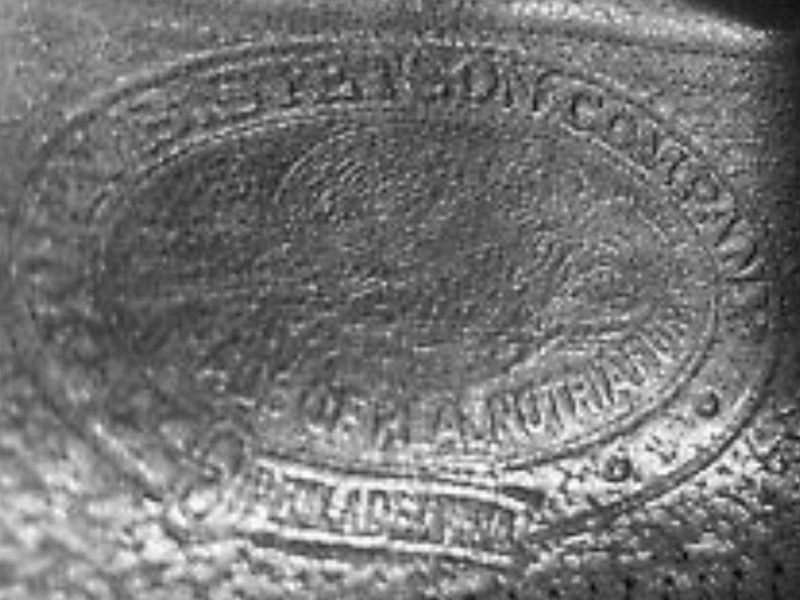 The mark above is from one of several Stetson Real Nutria Fur hats I have owned. The imprint on your hat is inkless, but the same. It was likely sold in the mid to late 1920s. The liner (as you advise) is a replacement - I would guess the ribbon too but I can't see it clearly from your photos. Measurements might suggest whether the brim was cut down in rennovation. A photo taken against a background other than white would likely provide a better exposure of the black felt. If you check the back side of the sweatband (carefully) towards the front of the hat, you will likely find a large LOTXXXX stamp imprint. My guess is in the 4XXX range (all of mine have been) but if you could confirm, that would be great. It could be a help in confirming the era. This one took a couple of years to find a good home. ...only a small amount of detail on the eagle comes out. So much for thinking I saw an eagle in there. Why do I keep hearing "Muskrat Love" playing in my head? Redfokker and AbbaDatDeHat like this. Lol That’s ok Jack....i saw a beer!! Redfokker and Hurricane Jack like this.